you look further HI Norway will give you a few pointers to great experiences and our favorite spots in summer in Oslo. 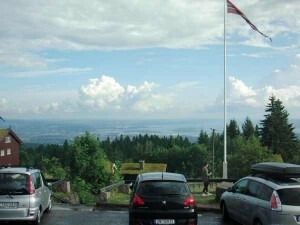 Oslo is a small, but energetic city between the fjord and the surrounding forest. People in Oslo are very much keen on the outdoors. country only 15 minutes from the city center, and go clubbing in your ski-wear afterwards! where it is possible to make your own food and do Oslo on a budget. the Oslo Fjord. Take a walk on the roof and admire the view of Oslo. 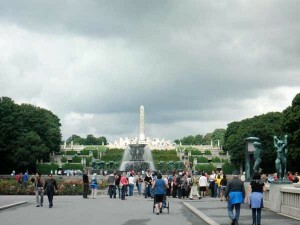 The unique sculpture park is Gustav Vigeland’s life work, with more than 200 sculptures in bronze, granite and wrought iron. Sculpture Park was largely completed between 1939 and 1949. Fountain, The Monolith Plateau and The Wheel of Life. Bygdøy is primarily a residential area, but it also has large areas of agriculture, forest and park. It is also known for its rich flora. Nordmarka is the mostly forested region, which makes up the northern part of Oslo. The forests are popular sites for hiking. tent for free more or less wherever you want in Nordmarka. and the chapel used for royal events. area is full of life around the clock. – It costs nothing to stroll along the pier and enjoy life! the river gave power to numerous industry companies in Oslo. Akerselven is “Oslo’s green lung”; many parks and nature trails are to be found by its path, from Grønland to Maridalsvannet. 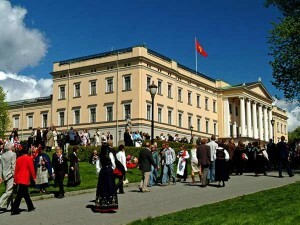 is an amazing experience and a walk through the history of Oslo. center with only takes about 10 minutes to the centre.